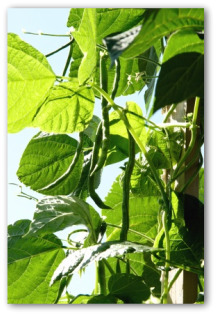 Here are a few easy tips for growing pole beans in your vegetable garden! 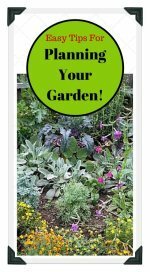 Learn when to plant, and how to care for and harvest green bean plants when vegetable gardening. Fresh homegrown vegetables just tastes better! These long-time vegetable garden favorites hardly need any introduction, just plant them; then stand back and watch the pole beans snap into action. For gardeners who have limited space or time, spacing between the plants is fairly close. Plant a double row of seeds three inches apart for the most productive crop. Below is advice we have gathered from avid growers to pass along to help get your garden off to a great start. 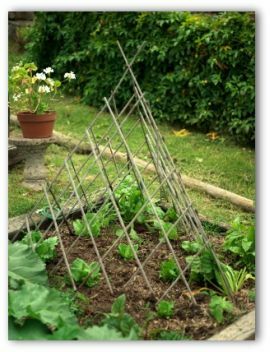 You will need bamboo poles, or metal fence posts, wire and string in order to provide a place for your pole beans to climb. * Prior to planting, soak your green bean seeds for two to four hours in lukewarm water. * Avoid soaking the seed longer than four hours maximum because they tend to split or decay in the water from swelling too big. * Pre-soaking gets the green bean seeds off to a rapid start once the seeds are planted in the ground. * A mulch ground-cover stops weeds and conserves water. 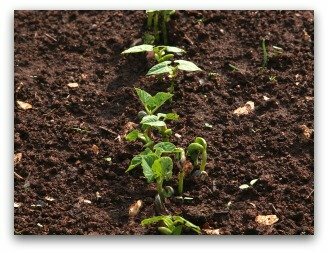 * Mulching helps protect growing pole beans from rains as well as drought. 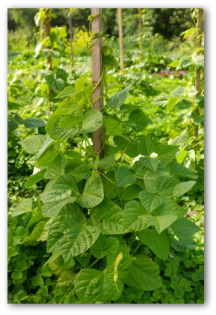 * Keep in mind that pole beans produce over a longer period than bush beans. In fact, bush beans were developed for commercial producers who desired a plant that matured all at once so their machinery could harvest all the same size beans. 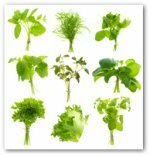 Many seasoned gardeners are convinced that a lot of flavor is lost by rushing production to market. 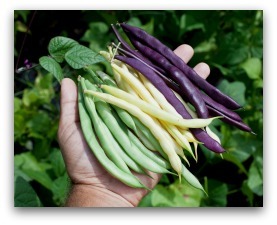 In terms of crispness and taste, the slower growing pole beans seem way ahead of bush beans! These frost tender annual plants are grown as a summer season crop. You can expect harvest from seed in 9 weeks. This is an excellent crop for every garden because they are easily grown and great producers. In taste test polls, pole varieties are often picked as better tasting with a mild nutty flavor over bush types. Pole beans require full sun. 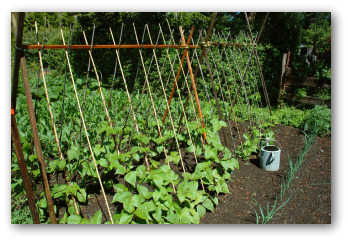 Start pole beans under a vertical frame. Preferred soil pH level is 5.5 to 7.0 with proper drainage. Seeds sprout poorly in a wet, clay soil. Avoid indoor seed starting other than the pre-soak technique because seedlings do not transplant well outdoors. After sowing bean seeds, water soil. Keep soil damp until bean sprouts appear. Seed sprout in five to ten days. Green bean plants require regular watering. Water weekly; twice a week during extremely hot temperatures. Keep the foliage dry but do not permit the soil to dry out. Feed monthly with organic fertilizer mix. Weed frequently, apply mulch during hot weather. Protect newly sprouting seeds from curious and hungry animals. Birds and rabbits will have a field day with your pole beans if allowed to invite themselves to a quick meal. For added protection, cover the planting with a piece of 1-inch chicken wire formed into a tunnel at least 6 inches high. Remove wire cage after a couple of weeks. Cut or break each stem that holds the pods. If the bean breaks off leaving part of the pod and the stem remaining on the vine, no harm is done. Avoid pulling on the plant during harvesting. The best time for beans to be harvested is when pods remain tender. Harvest before pods are bulging with seeds or the plants stop production. Once pole beans get started, they grow and grow! Although, they take a week or so longer to start producing than bush beans, they provide a small steady crop all summer and fall. One planting of pole types is sufficient for enjoying a continuous harvest making them the best bean crop choice for gardeners with less time on their hands!